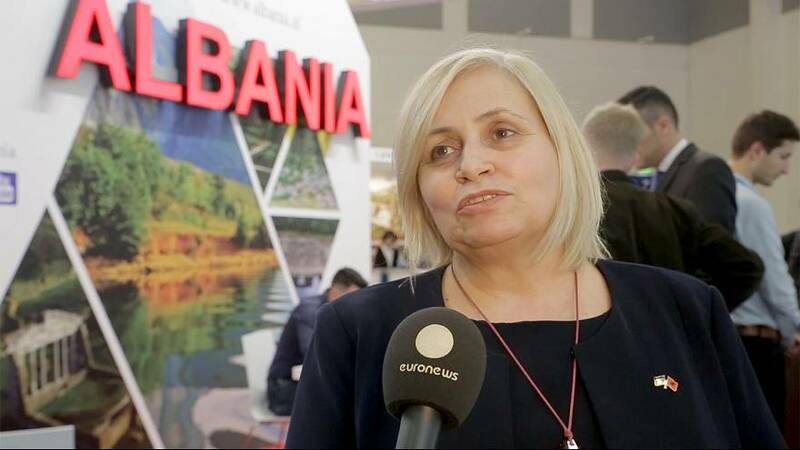 Euronews spoke at Berlin’s ITB to Milva Ekonomi, Albanian Minister of Tourism, about how her country can become a new pearl of the Adriatic in the Western Balkans – given its huge potential, its hospitality, and its drive to go big. The fact is that the tourism industry in Albania is new, young, and full of energy, and this is very important but what kind of products we are offering is the diversification of the tourism activities that we are doing in Albania. So you cannot only enjoy the coastal area, rural tourism, you can enjoy adventure, historical views, and also archeological views and all this is the strength of the Albanian tourism for the moment. Also, Albania is coming with a very high spirit of welcoming tourists that are visiting the country and I believe this is another strength of Albania at this fair.